'Queen Semiramis with Attendants.' Tapestry. 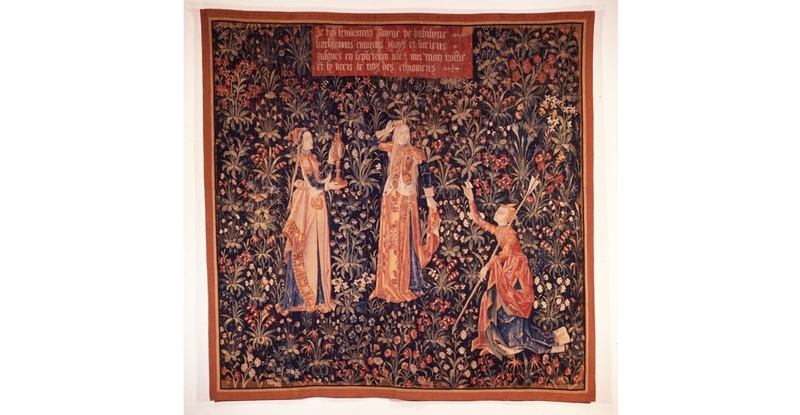 Flemish, Tournai, c. 1480. Wool, silk; tapestry weave. Gift of the Charles M. and Anna C. Cooke Trust, 1946. 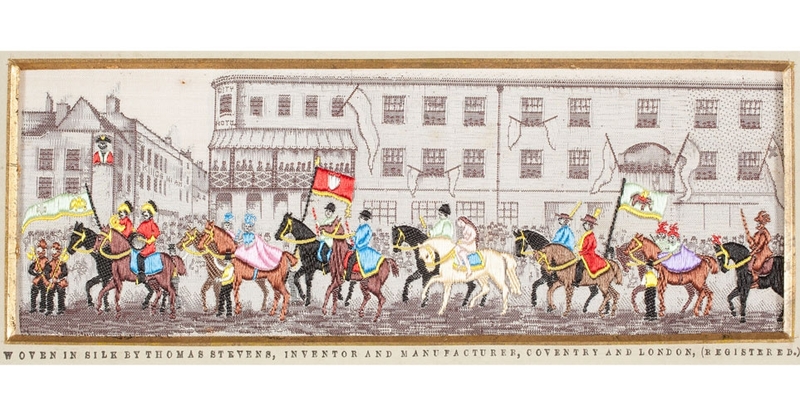 'The Lady Godiva Procession.' England, Coventry and London, 1842-1883. 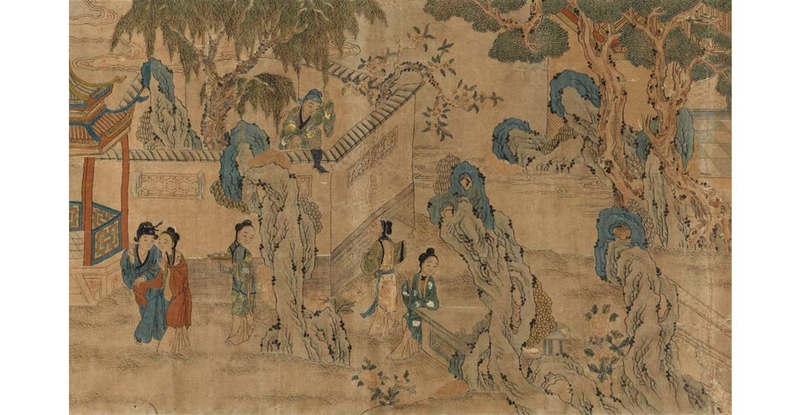 Silk, jacquard woven. Anonymous Gift, 2015 (2015-13-01). Peru, Paracas, ca. 200-100 B.C. Cotton, camelid, plain weave, completely covered with embroidery and needle-knitted border. Gift of Dr. and Mrs. Nils V. Hansell, 1973 (4181.1jj). China, Late Qing dynasty, 19th century. Silk mounted as a handscroll, tapestry weave (kos’su) and painting. Bequest of John Gregg Allerton, 1991 (6285.1). 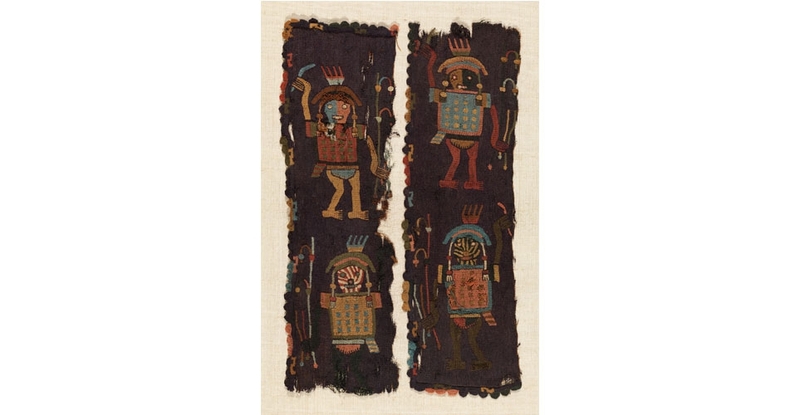 Included in the exhibition are textiles featuring the powerful Queen Semiramis of Babylon on a 15th-century Flemish tapestry, a lover from a scene depicted in the Chinese opera The Romance of the Western Chamber, and an ancient Peruvian Paracas warrior from a thousand years ago. Imagine the conversation that could take place between these characters. Would the discussions turn into shouting matches, romantic quiet whisperings or lead to spiritual religious chanting in an attempt to evoke emotionally charged responses? Identify Yourself is a textile reflection of the world before selfies defined who we are.